Nakhon Ratchasima (Thai: นครราชสีมา, pronounced [ná(ʔ).kʰɔ̄ːn râːt.t͡ɕʰā.sǐː.māː]) is one of the four major cities of Isan, Thailand, known as the "big four of Isan". The city is commonly known as Khorat (โคราช, pronounced [kʰōː.râːt]), a shortened form of its name. 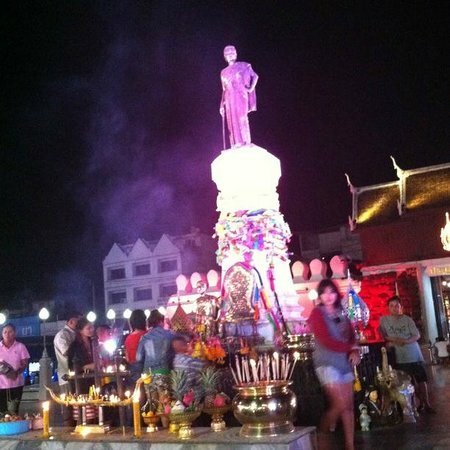 It is the governmental seat of the Nakhon Ratchasima Province and Mueang Nakhon Ratchasima District. Nakhon Ratchasima is the heart of the Nakhon Ratchasima metropolitan area.